Hey you! This post contains affiliate links. That means, if you sign up for one of these services using my link, I’ll earn a bit of cash. It doesn’t cost you anything extra. PLUS, if you do, I’m going to send you some awesome thank-you bonuses! Which camp do you fall into when it comes to email marketing for your business? I hate getting emails, so I don’t send them. I guess I should have an email list, but I don’t know where to start. I have a list, but I could be doing more with it. Your social media following doesn’t count. Still with me? Good. Now, let’s talk about why. Did you hear that big news Facebook sent out in January 2018 about how they’re redesigning the news feed to de-prioritize business pages? It started having an almost immediate impact on publishers. Some ran off to build groups, while others decided it was time to learn how to run ads. Not convinced? Then let’s go back a bit further. MySpace was at its peak in December 2008 with nearly 76 million users. Even then, Facebook had already had more users. At one time MySpace had 1600 employees. In December 2017: 150. If you built your business presence on MySpace, where would all of your loyal followers be? Now, what about your trusty email list you built in 2008, at the height of MySpace? It could, and would still be going strong. When you focus on building an email list, you’re building a portable, permission-based customer list that you can take virtually anywhere. Email marketing, done correctly, is permission-based marketing at its finest. Your readers have entrusted you with their email address and the permission to use it. They probably gave it to you in a trade agreement where you gave them an extra-special piece of content for that right. There’s an extra level of trust that comes with joining your email list. And with trust, comes dollars. That’s right – someone on your email list is more likely to buy from you than a general social media follower. This stems from the foundation of trust that was started with the opt-in and is enhanced by the ongoing engagement with your email cadence. If you have 1000 Facebook followers, you’re likely to get 1.7 clicks. Of course, that’s only if they even see your post, given the changes to the newsfeed. If you have 1000 Email Subscribers, you’re likely to get 71.9 clicks. You’d need over 42,000 Facebook followers to generate the same number of clicks as 1000 email subscribers. And those click-thru rates are just based on an average. With testing, segmentation, and funnels, you may see even better results. I’ve seen client emails get 25-30% click-thru rates. According to Business2Community, For every $1 marketers spend on email, the average ROI is $40. That’s a 4000% ROI. And you don’t need to email several times a day. As a matter of fact, you shouldn’t email that often. You can achieve these results emailing as infrequently as a couple of times a month or as frequently as a couple of times a week. What is your budget? Not all email service providers are created equally – even the free ones can have big variability in the quality of the service that they offer. Notice the big thing that all three of these strategies have in common? They’re all about engaging readers. How do you do that? With your content model! 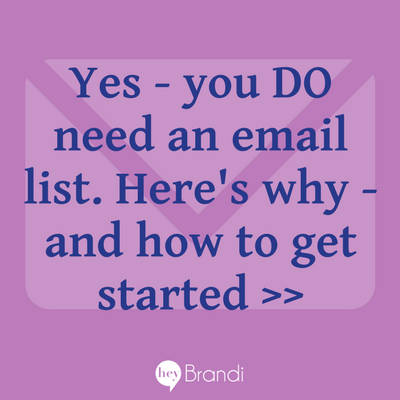 Once you know how you want to use your list, then you decide what you’re going to send them. Exclusive content – this goes above and beyond sending just what you’re writing on the blog. Sometimes it’s a preview of what’s to come, deeper insights about something in your industry, or even freebies that you’re not offering anywhere else. Personal messages – A personal message may be a lot like your exclusive content, but it’s often written more as a letter to a friend than a “newsletter”. Promotions – Yes, sometimes you’re going to want to plan to send your list promotions. And if you’re doing a good job with your list engagement, they won’t even mind. After you know why you’re sending to people, and what you’re going to send them, you need to decide on how often you’re going to send those messages. You don’t have to send the same type of message all the time, but it is good for your readers to get used to when they can expect to hear from you, and what you’re going to message them about. The most common email frequency is weekly, although the final decision is up to you. Send too often, and you’ll often see your open rates sink and your unsubscribe rates grow. If you don’t send often enough, your customers may forget about you in the hustle and bustle of their inboxes. 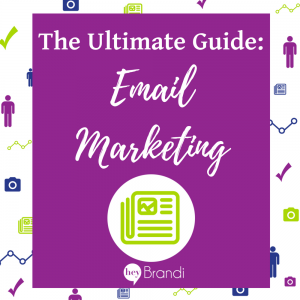 With just those three things figured out, you can start to put together an email marketing calendar! Are you as excited as I am? Ok, it’s fair that I’m the only one who gets super excited about email marketing calendars. Hopefully someday you will too. Once you know you’re going to have a list, and established your email strategy, and picked a platform, it’s time to start getting people ON your list. There are two parts to this – the strategic side which includes deciding on the incentive (also known as a freebie, opt-in, and lead magnet) and the technical side, which we’ll talk about at a high-level since it’s a little different for each platform. In order to get your readers to give up something valuable (their email address), you need to give them something valuable in return. A decade ago, just getting your newsletter was probably incentive enough. Our inboxes were less cluttered, and our smartphones (ok, ok, Blackberries) weren’t full of social media notifications and updates. … and almost anything else you can think of! What problem is my client currently facing that I can help solve? What can I create that solves it? Will they say “holy wow, that helped!” when they get it? Or will they download it and forget it? These three questions don’t work as well for a traditional ecommerce product-based business. In those scenarios, an incentive to drive the first purchase is better – like free shipping, or a discount. The incentive that you create is the foundation for the transactional relationship you’ll have with your email subscribers. You want to wow them – make them glad that they gave you their email address. I love getting the messages from my readers that one of my opt-ins (like my free productive marketing eCourse or resource library) has changed how they’re doing their marketing. First, you’ll want to describe your incentive on your web forms. Like you’ll see in my sidebar that invites you to join the Productive Marketing course. If you are testing different incentives or have different incentives for different categories on your website, then you’ll definitely want to customize each form. When someone subscribes to your list, you’ll want to use what’s called a double opt-in. This just means that someone has to click a confirmation link in an email before they’re officially added to your list. It helps with deliverability, keeps your list clean(er), and reduces junk addresses on your list (that you do end up paying for over time). The way I like to think of it is this: All that work you put into your opt-in freebie – you’re asking the subscriber for one extra click. Your opt-in is WORTH that click. If the subscriber isn’t willing to give you that click, are they going to be willing to pay for something else later? You may have some subscribers that expect to get their incentive in that first email. Make sure you customize it to let them know that they’ll get the opt-in after they confirm their email address. If you have a multi-part incentive, like an email course, you’ll need to use automations to deliver the content over a series of time. Now that you’ve developed your awesome opt-in, you’ll want to get people to it. Here are 7 ways to get people to your opt-in – and onto your list! Add it as an upgrade to your blog posts. You’re already sharing your blog posts on social media and optimizing them for SEO. They can do double-duty for you by growing your list with an embedded opt-in form. This works particularly well if your opt-in relates to the subject you’re writing about. Put it in the sidebar of your website. Most of us have a sidebar on our website with links to our social media profiles, blog categories, and maybe an “about” shortcut. By adding a link to your opt-in, you’ll gain visibility across your site. Add a link in your navigation. Beyond just your sidebar, your navigation menu is visible across your whole website. Add a link to your opt-in landing page to your site navigation to increase visibility. Share on social media. Regularly share your opt-in on your own social media channels. Add a tab to your Facebook page, offer it in Facebook groups (your own and others, as appropriate), link to it in your Instagram profile… you get the gist! Add it to your social graphics. Besides just sharing on your social media channels, you can share info about your opt-in on your social graphics, like your Facebook header image and group cover, Twitter header, etc. Then create a pinned post that has the link. It’s easy for new subscribers to find you! Pin it. 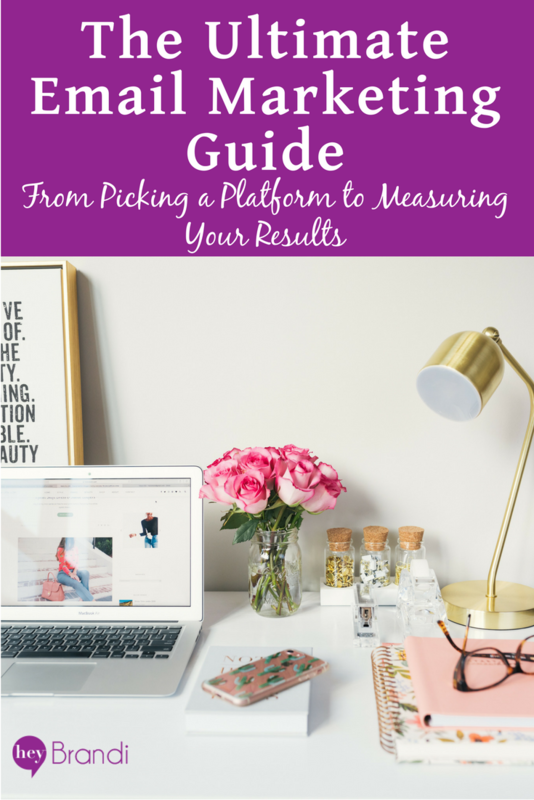 Just like you pin your blog posts (you do pin your blog posts, right? ), you can also pin your opt-in landing page. Guest Appearances. Just like a celebrity who makes the talk show rounds to promote their new movie, you can promote your new opt-in through guest appearances including guest blogging, podcasting, and Facebook lives. List Size: How many people are on your list. This will change over time – hopefully continuing to grow as you acquire new subscribers. If your list numbers start to decrease, you may need to monitor how many people are unsubscribing from your list. Opens/Open Rate: How many people opened each message (also sometimes called a campaign). The open rate measures how many people – you guessed it – opened your email. The Open Rate is how many unique people opened your email divided by the number of people who your email was sent to. Clicks: How many people clicked on a link in your email. Click Thru Rate: How many people clicked on a link in your email divided by the number of people your email was sent to. Click to Open Rate: How many people clicked on your link divided by the number of people who opened your email. I prefer this metric over the more generic click-thru rate because it’s a more effective measure of the content of your message. Overall, how can someone click on your message if they never opened it? Hard Bounces: Ever mis-type someone’s email address and get those return emails that say “This email address doesn’t exist”? That’s a hard bounce. Happens on email lists too. However, your email service provider should automatically remove them from your list. Soft Bounces: A soft bounce is when an email gets to the email server, but then is rejected for another reason. The email address exists, but the email still can’t be delivered. This happens often if an email inbox is full, the receiving server is offline, or your email message is too large to be delivered. Most email service providers have a threshold for how many times an email address can “soft bounce” before it’s considered a hard bounce and removed from your list. Conversion Rate: This is how many people took the action you wanted them to take – not just clicking through on the link, but taking action, like signing up for a free service or event, or making a purchase. Revenue Per Click or Revenue Per Email: If you’re selling something from your email, you’ll want to track how much revenue each email generated. You can do this by using tracking URLs in your message that show up in Google Analytics. (You’ll also need to have eCommerce conversion tracking enabled on in your Google Analytics Account.) Some email service providers (like MailerLite) will add the appropriate tracking URLs for Google Analytics, or you can build them yourself using the Campaign URL Builder. A lot of people are talking about funnels and automations when it comes to email marketing. These tools are very powerful ways to quickly warm-up people, and potentially get them to buy from you. 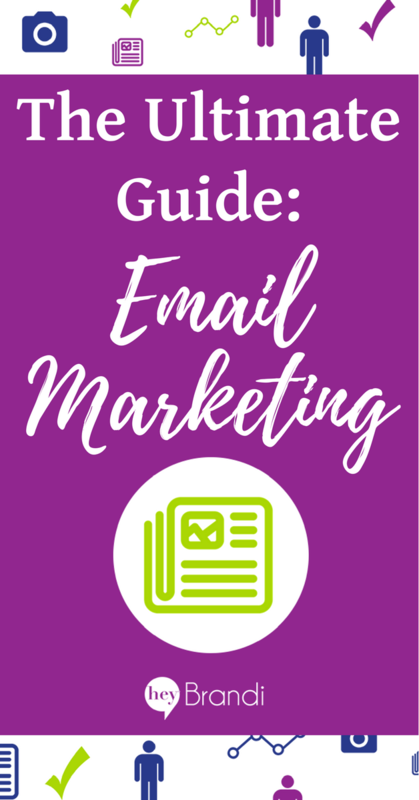 So, what’s the difference between an email newsletter and a funnel – and how do you know which you need to send? Promotions – common if you’re running a store and aren’t doing any of your own content. With an email newsletter, new subscribers can jump in at any time. When you’re writing a newsletter, you’ll need to remember that not everyone has been with you from the beginning of your journey and frame your content appropriately for both new readers and the readers who have been with you for weeks or months. What is a Funnel or Automated Email Series? An email funnel is a series of emails that go out on a set schedule based on when someone took a specific action, like signing up for your opt-in. They can last just a few emails, or for quite a while. I’ve built automations that were 17 emails long that lasted 3 months! Unlike an email newsletter, with a funnel, everyone starts at the same point. If Sally signs up for your opt-in today, she’ll get email 1 in your funnel or automation today, and email 2 in three days. If John signs up for your opt-in in five days, he’ll get email 1 that day, and email 2 three days after that. Because of this staggered timing, you’ll need to think through any dates that you put into your funnel to make sure they’re still relevant. For example, if you are promoting an upcoming course launch in a funnel series, you’ll need to update your funnel after the course has opened to start promoting the next course launch date, the evergreen version, or the wait-list. 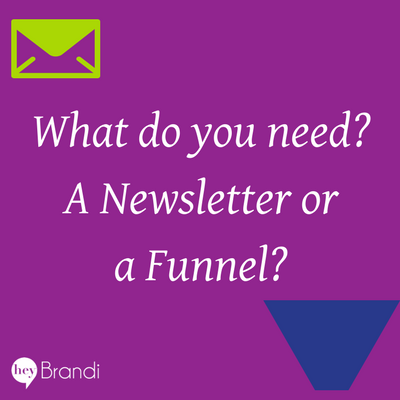 Do you need an email newsletter or a funnel? In most cases, you’ll want both an email newsletter and a funnel. Your email funnel will often be used as a warm-up series when someone first joins your list, while your email newsletter can keep them engaged after that initial series has ended. Should people who are still in my funnel get my email newsletter too? Depending on the goal of your funnel and how long it lasts, you may or may not want people to get your email newsletter while they’re still part of your funnel. With most email service providers, you can create an action at the end of your funnel to add the subscriber to your newsletter list. How long should my funnel be? The longer your sales cycle, the longer your funnel will typically be. For most new welcomes and funnels, I recommend 3-5 messages. Can I just do a funnel and no newsletter? I heard someone on a podcast once say that she was considering moving to an infinite funnel model, instead of a traditional newsletter. After nearly 15 years of email marketing, I wholeheartedly disagree with this strategy. You can certainly choose to do long funnels, and then only message your list periodically when you have a new promotion or something extraordinary to say. However, the perpetual funnel model can quickly lead to confusion for you and your customer service team as they’re managing dozens (if not hundreds) of simultaneous offers. Plus, you’re likely to have to continue to create content to keep adding to the end of the funnel. If you think a perpetual funnel is the right solution for your business, consider doing a course instead. Just like you set revenue goals and traffic goals, you should also set regular goals for your email list. Your email list is a key component of your business outreach strategy – so even if you neglect social media goals or forget to floss once in a while, make sure that you’re setting and tracking goals to increase your list size as well as improve your list performance. While you may have heard of SMART goal setting in the past, refreshers never hurt. Beyond just goals to grow your list, you should also consider how you can get better performance from your list. Remember, for every $1 marketers spend on email, the average ROI is $40. If you focus on increasing your performance from your list, the effort that you put into acquiring each client will pay increasing dividends. Increasing your open rate: With better open rates, you’ll be able to get better engagement from your readers. If they don’t open, they can’t engage. Even a 1-2% change in your open rate may indicate that new people are reading your messages. Improving your click-thru rate: Good click-thru rates indicate that your readers like what you’re sharing with them. If you’re using email to drive eCommerce sales, your click-thru rate impacts how well your messages are driving sales. Again, even something as small as a 1-2% change in your click thru rates will be driving additional traffic and sales. Improving your response rates: If you’re not asking for a click in your email, chances are you’re asking for some sort of a response. By getting a better response rate, you’ll build better relationships with your readers – and eventually gain more sales. Once you know where you’re going, then you can decide how you’re going to get there. To achieve your SMART goals, you need a plan! Of course, with any part of business there are legal considerations that you need to be aware of. Please note, I am not a lawyer. If you have legal questions about email laws in your state or country, please contact an attorney who specializes in these matters. These recommendations are based on my own experience. First, if you’re running an online business, I suggest you pay attention to and do your best to comply with the three biggest email marketing laws: US CAN-SPAM, CASL (Canada) and GDPR (European Union). Even if you are not located in those countries, you are still subject to their laws if you email to people who do live there. And you really never know where your email subscribers are. You also need to give them an easy way to opt-out in every message. Most reputable email service providers (like those listed above) will automatically add this unsubscribe link to all of your emails for you, and remove the people who click on it from your list. Make sure they know who is sending the email. If you don’t use your name on your website, but you want to send emails from your name, then you should consider using both your name AND your company name as part of your sender name. For example, mine could be “Brandi @ HeyBrandi.com” or “Brandi | New Leaf Marketing Solutions”. If you’re in Canada, or send to Canadian residents, then you’ll also be subject to CASL. Currently with CASL, you also need express consent to email someone. This means they need to actively sign up to receive messages from you. Any checkboxes as part of the sign-up process must not be pre-checked. Your physical mailing address and your telephone number, email address, or website URL. Here’s the full text of CASL, along with an FAQ page. The GDPR is the newest legislation going into effect on 25 May 2018. Much like the US and Canadian regulations, the GDPR prevents businesses from sending unauthorized email messages. It also restricts your right to email someone to what they expressly gave consent for. Finally, it extends the right of subscribers beyond just unsubscribing. They can also request a copy of any information you have about them, ask for any of that information to be changed, updated, or deleted. If you’re reading more about GDPR, you may get a bit confused about if you’re a data controller or a data processor. If someone signs up for your email list – congratulations! You’re a data controller. Your email service provider – like MailerLite or ConvertKit – is your data processor. Write clear messages – from your subject line to your final call to action. You never want someone to wonder who the message is from, or what it’s about. By being very clear in your subject line and body of your message, you’re less likely to get SPAM complaints. Pick a reputable email service provider and let them do their jobs. I’ve seen plenty of questions about how to get around double opt-ins or how to resubscribe people who unsubscribed from one funnel. Services like MailerLite and ConvertKit have built these tools to help make it easier to be compliant. Use permission reminders. In your email template, add a line at the bottom that says “This email was sent to %%emailaddress%% because you signed up at website name”. (Use personalization variables in your email tool to automatically populate the email address the email was sent to, and change “website name” to your website name/URL.) That way if someone doesn’t remember signing up for your list, it gives them an easy way to backtrack. If you use a VA to help you grow or manage your email list, make sure they’re familiar with the laws as well. Don’t share your list. It doesn’t matter if it’s your business bestie or your business idol, don’t share your list. You can run a co-promotion where you promote something of theirs to your list, giving your readers the choice to opt-in to their list. Ideally, they’ll do the same for you. Win-win!